They are the stuff of legend, but for their victims they are all too real. Their swords and shuriken fly fast and, in the blink of an eye, cut to the bone, creating a bloody spray in the wake of the blade. The masters of stealth and dealers of death, these specters strike without warning and strike fear in the hearts of their enemies. No one is safe. 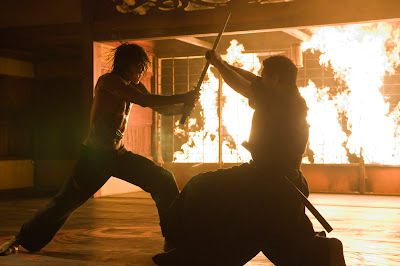 Ninjas are the special forces of the martial arts world, and “The Matrix” producers Joel Silver, Andy and Larry Wachowski wanted to bring them to the screen as never before, in Warner Bros.’ spectacular action-thriller “Ninja Assassin” starring Korean pop superstar Rain. The filmmakers wanted to utilize the classic ninja movie structure in which an enigmatic master schools select children to become unbelievable fighters or assassins, who people in the “real world” of the film believe to be a myth. That is, of course, until their two worlds intersect and the disbelievers witness these incredible martial artists in action. 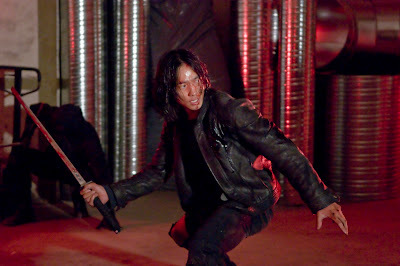 Opening across the Philippines on Nov. 25, “Ninja Assassin” is a Warner Bros. Pictures presentation in association with Legendary Pictures and Dark Castle Entertainment.